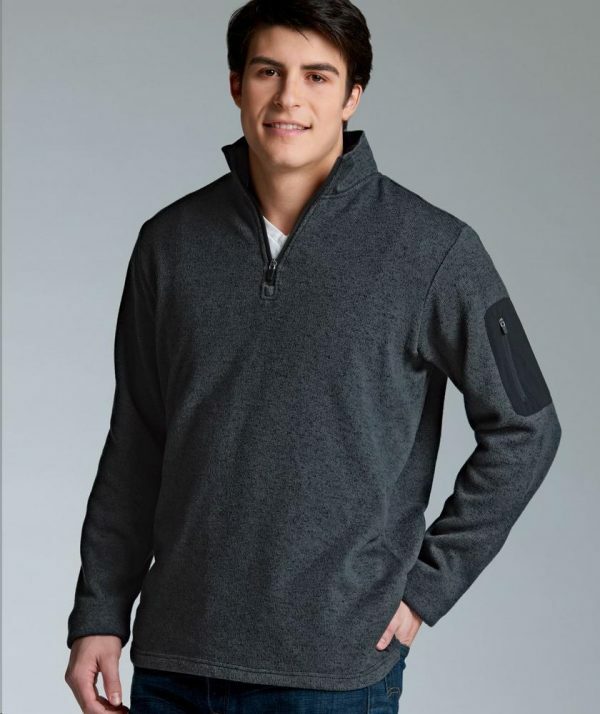 SKU: CR-9312 Categories: Pullover Jackets, Red Brands: Charles River Apparel. 100% polyester sweater fleece, brushed on the inside for softness 8.26 oz/yd2 (13.76 oz/lyd, 280 gsm). Yarn-dyed to produce a unique heathered appearance. Quarter zip styling with a stand-up collar lined with tricot for softness against face. Men’s features open cuffs and hem as well as a welded zippered pocket on the sleeve (black on charcoal heather, dyed-to-match on navy heather).